Machine learning is the technology behind any sophisticated dynamic pricing algorithm. These algorithms make optimal pricing decisions in real time, helping a business increase revenues or profits. 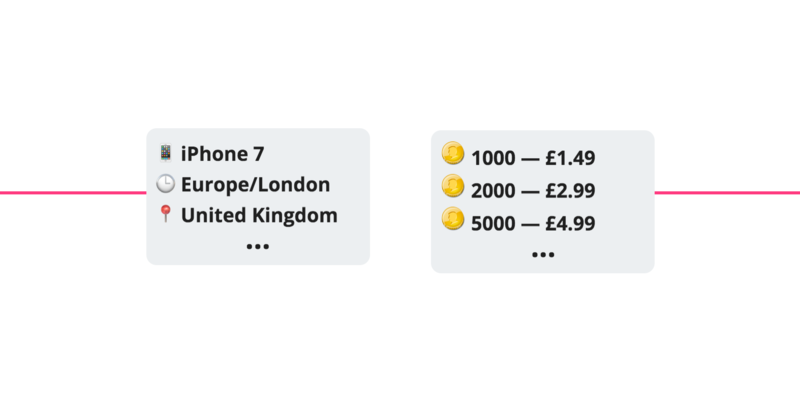 In the case of a freemium mobile app, a dynamic pricing algorithm sets optimal prices for in-app purchases to increase revenues and engage price-sensitive customers. Dynamic pricing for mobile games and apps is a recent innovation. The majority of mobile apps are not using dynamic pricing algorithms today. Instead, they display fixed prices to their audience. An Indian user pays the same price as an American user and the price stays the same from day to day. But app developers know that their fixed pricing strategy is not optimal. Over time, revenues grow and developers get a better understanding of their users’ purchasing behavior. They discover that users are not all the same – that Indian users do not spend as much as Americans, for example. The first question an app developer has is whether their fixed prices are optimal. In many cases, app developers chose prices arbitrarily and often by copying what Clash of Clans does. As monetization becomes more important, they think about increasing or decreasing their prices to boost revenues. And to answer that question, they reach for a familiar tool in their toolbox: A/B testing. A/B testing can also answer questions about more complex pricing models. If a developer thinks that lowering prices in India will increase revenues, they can test that hypothesis. Using A/B testing in this way feels like a natural evolution, but it is not necessarily the best approach to increase revenues. Dynamic pricing is a powerful alternative to the segmented pricing and A/B testing approach that many developers currently use. It automatically optimizes prices for every user in real time, without the need to manually define or test complex pricing rules. Instead, the dynamic pricing tool uses machine learning algorithms to drive its pricing decisions. In a simple mobile game that sells in-game currency, an in-app store will contain one or more products. The products might be 500 coins, 1,200 coins and 2,500 coins. And the prices might be $1.99, $4.99 and $9.99 (standard price). Or they could be $0.99, $1.99 and $3.99 (discount price). In this case, the aim of the dynamic pricing algorithm is to decide whether to display the standard price or the discount price. It makes this decision in real time for each user, just before the mobile app displays the pay wall. The ultimate objective of the dynamic pricing algorithm is to maximize the lifetime value for each and every user. At the core of the dynamic pricing algorithm is a machine learning model. Broadly speaking, this model is a regression model that estimates the impact on revenue for each possible price configuration. These estimates are important because they tell the dynamic pricing algorithm which price configuration it should display. The most obvious approach is to build a regression model for each possible price configuration. This multi-armed bandit strategy generates a prediction for each possible choice, factoring in user-specific static data and metrics. This approach does okay, but it is slightly naive because it does not explicitly model any information about the price configuration itself. Sweet Pricing’s proprietary dynamic pricing tool builds on these ideas. Our algorithm is slightly more sophisticated and does not require the price configuration choices to be explicitly specified. 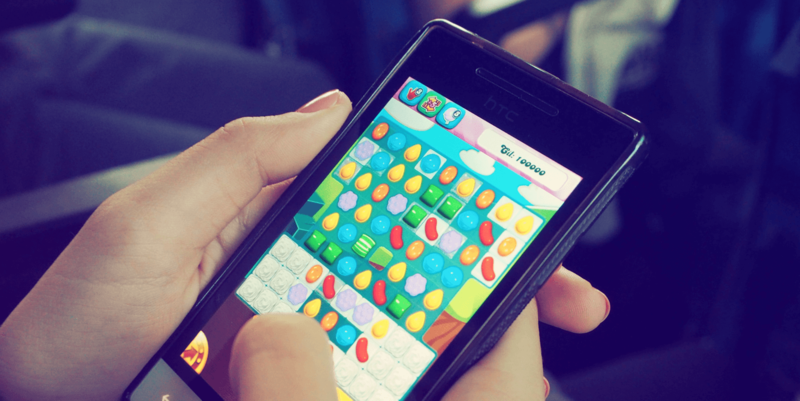 App developers are very good at building mobile apps and games. But only the largest app developers have the in-house knowledge and experience to work on projects involving machine learning or dynamic pricing. Aside from the very largest app developers, most app developers are teams of 2-50. So it is not practical to build an in-house dynamic pricing tool. A project of this nature is complex, takes a lot of time and resource and is prone to error. Sweet Pricing is filling this void by providing a generic, off-the-shelf dynamic pricing solution. Our solution uses machine learning technology to optimally price a mobile app’s in-app purchases. So app developers no longer need to rely on gut feeling or A/B testing. With Sweet Pricing, dynamic pricing is now available to every app developer. App developers can implement our dynamic pricing tool into their existing Android or iOS mobile apps in just 4-8 hours. And because our monthly plans scale by monthly active users, our solution is affordable to almost every freemium mobile app that uses in-app purchases or subscriptions to generate revenue.